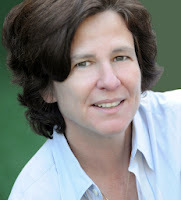 Marriage Equality USA has become the executive producers of a music video PSA to be directed by legendary Writer/Director Nicole Conn whose groundbreaking lesbian movies include, Claire Of The Moon (1992), Elena Undone (2010) & A Perfect Ending (2012). Conn talked about this last month on OUTTAKE VOICES™ stating, “I’m preparing for Jen Foster’s video SHE which is one of the most beautiful song she has written. I’m a huge fan of hers anyways. We’re planning to make it really fun & also message that gay marriage is here to stay & its time has come.” SHE4MarriageEquality will launch a high-end video clip to the song SHE produced by LA based WingSpan Films. The song written & performed by Jen Foster will be rearranged into an orchestral dance mix by LA based music producer Eve Nelson & released in December. Brian Silva Executive Director Marriage Equality USA stated, "Music & video projects like this have the power to impact millions of viewers by showing the love & commitment that is celebrated & protected by passing civil marriage equality for LGBTQ families. We at MEUSA are thrilled to be a part of the SHE4MarriageEquality project!" Marriage Equality USA, Visit West Hollywood, WOLFE Video, Curve Magazine & Andaz West Hollywood have all signed on as official supporters of this project along with a fleet of volunteers from the LGBT community who have contributed in every aspect of this Music Video PSA. With Illinois's equal marriage rights bill running out of time in the current fall veto session gay activists will picket the lead sponsor of the bill gay Representative Greg Harris on Saturday Oct 26th as the veto session reaches its half-way point. The main demand: a party-line vote in favor of the bill by the Democratic Caucus, which holds a super-majority in Illinois's House of Representatives. The protest is sponsored by the Chicago-based Gay Liberation Network (GLN) & will be at 2P in front of Harris's district office at 1967 W. Montrose Avenue, Chicago. GLN has been publicly targeting the Democratic caucus & especially House Speaker Mike Madigan (D-Chicago), for the failure of the bill, SB10 during the spring session & its uncertain fate in the current session. Andy Thayer GLN Co-Founder stated, "Because Speaker Madigan is so powerful, controlling access to jobs & contracts, most organizations are afraid to take him on and bluntly place blame where it's due. Madigan controls the House as surely as Chicago Mayor Rahm Emanuel controls the City Council. When Madigan has wanted a party-line vote for far less popular measures, like gifts to the wealthy & well-connected, he's had no problem ramming them through the House. Like it or not & mostly not, that's the way that politics works in this state." 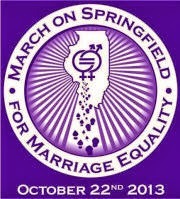 Last Tuesday thousands demonstrated for marriage equality in Springfield. GLN's Thayer was also a speaker at the main rally. Greater Fort Lauderdale’s Wilton Manors has been named the worldwide “Gayborhood of the Year” by ManAboutWorld Editors’ Choice Awards. The destination was also recently cited to be the city with the highest concentration of same gender couple households by the U.S. Census edging out traditional frontrunner San Francisco. Wilton Manors continues to evolve & features the largest Pride Center & will soon open the World Aids Museum & Educational Center the only museum dedicated to the HIV/AIDS epidemic. Greater Fort Lauderdale has long been a destination of choice for LGBT travelers with hundreds of gay-owned & operated businesses & one of the country’s most diverse gay capitals. 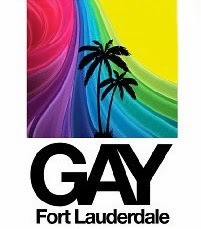 Richard Gray, managing director for the LGBT market at the Greater Fort Lauderdale Convention & Visitors Bureau stated, “With approximately 1.2 million LGBT travelers spending $1.4 billion a year, we continue to roll out the rainbow carpet & spread the word throughout the world with a concerted marketing campaign that we are out & proudly welcoming lesbian, gay, bisexual & transgender travelers, events, meetings, businesses & conferences.” Gay-friendly Wilton Manors businesses include; GayMart, New Moon, Sidelines, 13 Even, Naked Grape Wine & Tapas, To the Moon Marketplace, Java Boys, Humpy’s Pizza & Cupcakes, Alibi, The Village Pub, Rosie’s Bar & Grill, Galanga Thai Kitchen, Rumors Bar & Grill & Tee Jay Thai Sushi to name a few. 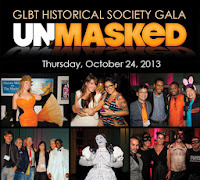 As you know October is LGBT History Month & the GLBT Historical Society in San Francisco is presenting its Unmasked Gala on Thursday Oct 24th from 7-10P at The Regency Center in San Francisco. 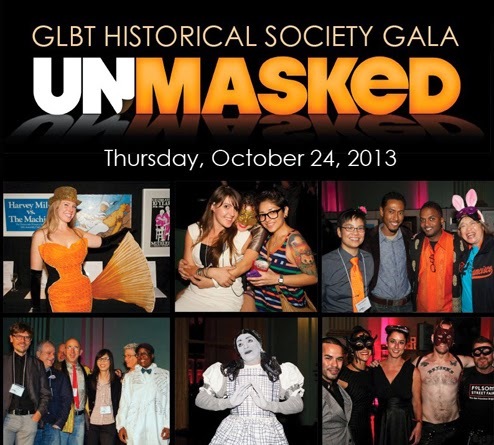 The Unmasked Gala is the Historical Society’s largest annual event & will be attended by many leaders of the GLBT community, local elected officials & a fabulous event for networking. Whether you attend in costume or not you'll find yourself caught up in the spirit of it all. 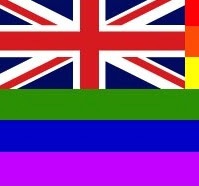 No doubt some of our favorite LGBT community's historical characters will show up to entertain, amuse & remind us all of what's gone before. The Gay, Lesbian, Bisexual & Transgender Historical Society collects, preserves & interprets the history of GLBT people & the communities that support them. 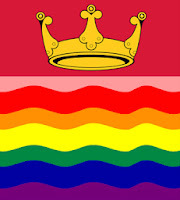 Founded in 1985 the society is recognized internationally as a leader in the field of GLBT public history. Often referred to as San Francisco's "queer Smithsonian," the GLBT Historical Society houses one of the world's largest collections of lesbian, gay, bisexual & transgender historical materials. The society's GLBT History Museum is the first full-scale, stand-alone museum of its kind in the United States. The annual gala benefiting The GLBT Historical Society & The GLBT History Museum is a high point of San Francisco's queer social season. 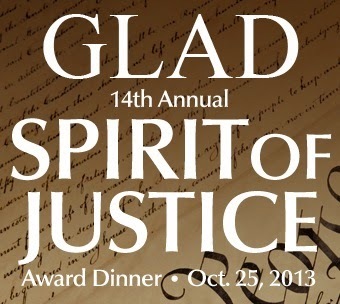 Come & enjoy this meaningful & memorable event. 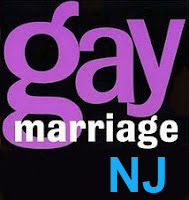 Now that gay marriage has come to New Jersey there will be a march in Springfield, Illinois on Tuesday Oct 22nd from 1P-2:30 for gay & lesbian couples right to marry in that state. Leaders from labor, immigration, faith, women's health, business, sports & voting rights movements will join LGBT families, leaders & allies at this equal marriage rally. Governor Pat Quinn will open the March on Springfield for Marriage Equality & he will be followed by speakers that represent the breadth & depth of the equal marriage coalition in Illinois. All speakers will deliver a common message to Illinois legislators: A majority of Illinoisans support the freedom to marry & the time for marriage equality in Illinois is now. LGBT organizations, families & faith leaders will be joined at the podium by national & regional coalition partners for the 90 minute rally. Families, couples & LGBT youth from groups that are part of the Illinois Unites coalition for equal marriage will also tell their personal stories to the thousands gathered for the March. The coalition, formed by Equality Illinois, Lambda Legal, the ACLU, and The Civil Rights Agenda & almost 100 other organizations is led by John Kohlhepp who will also speak at the rally. "We march on Springfield to make sure that the voices of people from all over our state are heard loud and clear," the 13 co-chairs of the March on Springfield said in a joint statement. 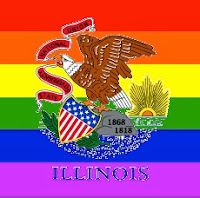 "It is time for Illinois to treat all of its citizens equally, regardless of sexual orientation or gender & we call on the Illinois House of Representatives to pass Senate Bill 10, the Religious Freedom & Marriage Fairness Act, during the fall veto session." 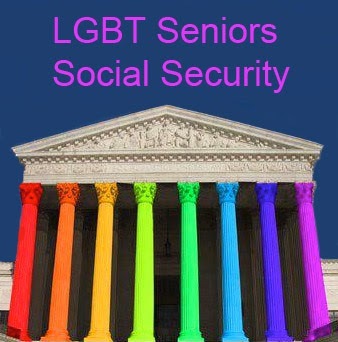 Now that legally married gay & lesbian couples have federal rights the National Seniors Foundation is launching a social security & LGBT national education campaign. Northern California is hosting the first “Know Your Rights” Town Hall meetings to inform the LGBT community of their new benefit eligibility to be held October 29th to 31st in Novato, San Francisco & Santa Rosa, California. 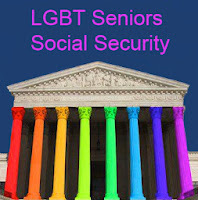 As you know for the first time in its long history, the Social Security Administration is providing benefits to gay & lesbian married couples thanks to the Supreme Court’s June 2013 Windsor ruling in the Defense of Marriage Act. This is a significant development with important financial implications for millions of elder lesbian, gay, bisexual & transgender Americans, same gender spouses, widows & children of LGBT parents. Carroll L. Estes, Ph.D., National Committee to Preserve Social Security & Medicare Foundation Board Chair stated, “The National Committee Foundation is proud to lead this campaign to educate millions of LGBT Americans about access to their earned Social Security benefits. It’s vital that we get the word out to the LGBT community so that they can begin the process of filing for benefits as the Social Security Administration finalizes its new regulations. For too long, the LGBT community has been treated as second-class citizens in the federal benefits system; however, that day is done & we are working hard to ensure America’s gay & lesbian couples know their rights.” The program “Know Your Rights” is the first of its kind in the nation & a model for a national education campaign reaching millions of LGBT Americans coast to coast. These outreach programs will include panel discussions with the Social Security Administration, legal experts, seniors’ & LGBT advocates. 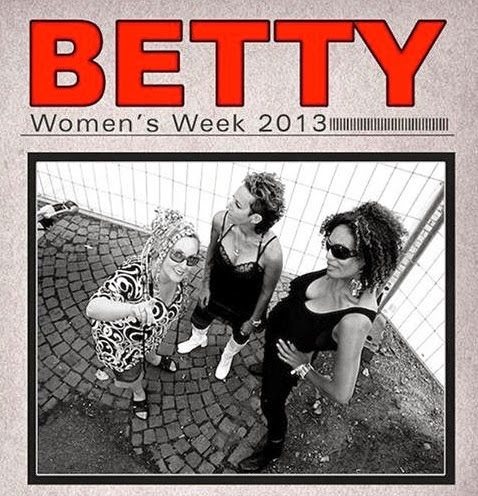 The rock/pop band BETTY is returning to Women’s Week in Provincetown at The Art House for the first time since 2011 for a special run from Thursday October 17th through 19th. BETTY is the five-piece New York pop rock band led by Alyson Palmer & sisters Elizabeth & Amy Ziff. Fierce Elizabeth (vocals, guitar), funky Alyson (vocals, bass) & funny Amy (vocals, cello) are the songwriters & arrangers. At times their onstage banter between songs adds a hilarious dimension to their live shows, ensuring that no two of their one thousand performances have ever been the same. Known for their defiant attitude, tight harmonies, infectious melodies & evocative lyrics layered over strong grooves, this world-touring group’s songs have been heard extensively on radio, TV, film, commercials & political rallies. BETTY performed the theme song for Showtime Television’s show “The L Word” & their acting appearances on that program catapulted this deeply beloved cult band to wider international recognition. Activist entertainers the band is known for fighting fiercely for what they believe including LGBT equal rights, feminism, finding cures for breast cancer, AIDS, Planned Parenthood, the Pro-Choice movement, an end to sexual violence & everybody’s inalienable right to safely dance naked in the streets. A "BETTY Rules" t-shirt, an early marketing item of the band, appears on one of the AIDS quilts. 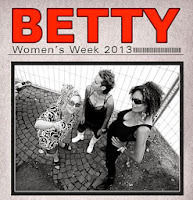 As activist entertainers, BETTY is well known for their performances at rallies for causes in which they support like LGBT equality & rights for women & girls. They’ve also written seven TV theme songs, film appearances & commercial jingles. Everyone is encouraged to go purple & participate on social media for Spirit Day on Oct 17th. Millions wear purple on Spirit Day as a sign of support for lesbian, gay, bisexual & transgender (LGBT) youth & to speak out against bullying. Spirit Day was started in 2010 as a response to the young people who had taken their own lives after facing bullying incidents. Spirit Day has since garnered widespread support from celebrities, TV news & entertainment programs, corporations, organizations, schools, local communities & even national landmarks. 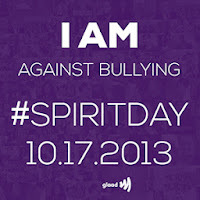 Spirit Day coincides with GLSEN’s Ally Week, as well as National Bullying Prevention Month. 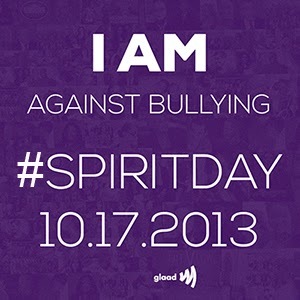 Major professional sports leagues, global entertainment organizations are participating in Spirit Day in standing against LGBT bullying, Openly LGBT athletes Kye Allums, Jason Collins, Brittney Griner & WWE Superstar Darren Young are among 2013 Spirit Day Ambassadors. 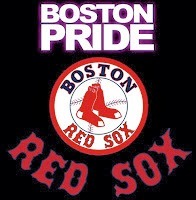 Wilson Cruz GLAAD spokesperson stated, "By coming together to support LGBT youth, American sports leagues are sending a clear message to fans everywhere: homophobia has no place in the game. Whether on the field, in the locker room, or cheering from the stands it's clear that LGBT people are essential to the sports community." 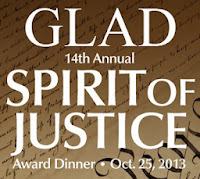 GLAAD previously announced that Macklemore & Ryan Lewis, MTV talent including Ke$ha, Nicole ‘Snooki’ Polizzi & Jenni ‘JWOWW’ Farley, Nev Schulman & Max Joseph from ‘Catfish: The TV Show’; the cast of TeenNick's 'Degrassi'; celebrity radio host Elvis Duran; 12 year-old transgender advocate Jazz; Archie Comics' Kevin Keller; Extra Host Maria Menounos; country music artist Kacey Musgraves & Spanish-language talk show host Cristina Saralegui will serve as Spirit Day ambassadors who are participating & speaking out against bullying. News anchors & hosts from Access Hollywood, CNBC, Extra, Jimmy Kimmel Live, MSNBC, Telemundo, The Talk, The View, Watch What Happens Live, the Wendy Williams Show & more will be wearing purple on-air for Spirit Day. 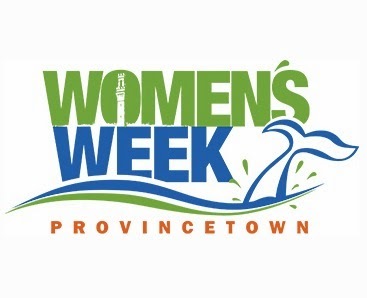 This is Women’s Week in Provincetown which is a fabulous event for gay women. Whether it’s getting to see the best performers & comics in lesbian culture today or just walking down Commercial Street holding hands with that special someone, there's no event on the planet that celebrates women like Women’s Week. The festivities have already begun but officially Women's Week runs from Columbus Day on October 14th through October 20th. There are over 150 events, workshops, performances, gatherings & parties happening all week long. Also some of the best lesbian entertainers are performing including Kate Clinton who will be performing at the Crown & Anchor all week long & will be holding her annual Kate Clinton Touch Football Classic hosted by Poppy Champlin on Thursday, October 17th at the Bas Relief Park. Also appearing are Maggie Cassella & Lea Delaria, Karen Grenier, Zoe Lewis, Suede, Cris Williamson, Jessica Kirson, Vickie Shaw & more. 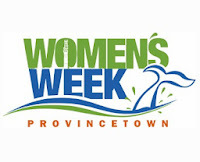 Women’s Week started 28 years ago with a very simple idea in 1984. Several women who were new innkeepers in town vivacious young lesbian entrepreneurs got together to talk about the season & what to do to bring women back during the fall. From this early conversation they planned a Clambake on the Beach for a weekend in October & decided to call it Women’s Weekend. They wrote to their summer guests since emails didn't exist & invited them to come back to stay & enjoy Provincetown’s off-season, beautiful surroundings while enjoying a Clambake & some local entertainment. It was a tremendous success & the rest is Herstory! Every year GLAAD the nation’s lesbian, gay, bisexual & transgender media advocacy organization releases its annual television Where We Are on TV Report. This year the percentage of primetime broadcast scripted LGBT series regulars has dropped to 3.3% from record high 4.4% last season. GLAAD found FOX was the most LGBT inclusive broadcast network with 42% of primetime programming hours having included LGBT images & earning FOX a rating of Good. Each network is reviewed on a scale of Excellent, Good, Adequate, or Failing. No network received an Excellent rating this year. ABC came in second place for the number of inclusive hours at 33% & also earned a score of Good. GLAAD's Wilson Cruz stated, "Last season was a stellar one when it comes to the sheer number of gay, lesbian & bisexual representations on television, though diversity within those storylines showed room for improvement. Though the number of LGBT characters dropped this season, shows like (ABC Family) The Fosters, with an interracial female couple raising a family & characters like Unique on Glee have not only moved the conversation about LGBT people forward, but are also a hit with audiences. Our television images not only reach American audiences, but countless others around the world. 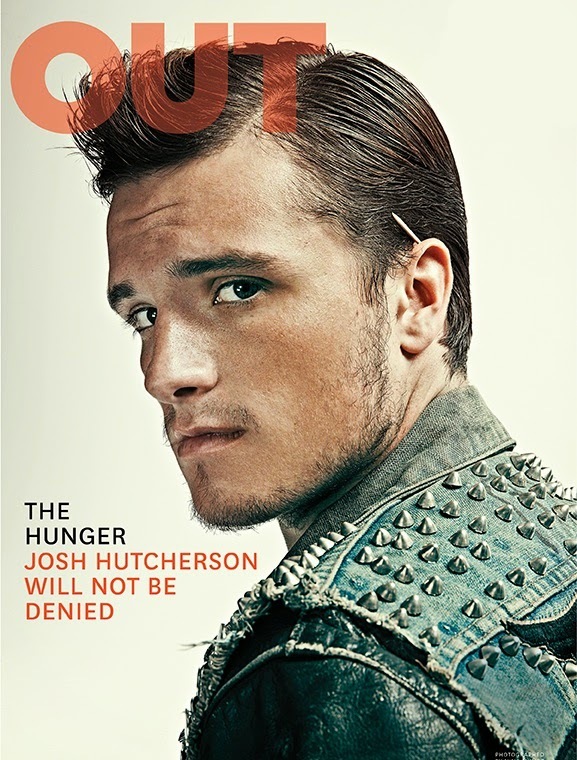 It is time for the television networks to make new & groundbreaking LGBT stories a priority once again." 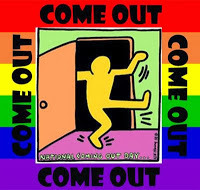 In New York the new Bronx LGBTQ Center (the “Center”) announced its National Coming Out Day initiative with a community outreach walk that will begin with a “coming out vigil” on Friday, October 11th at 6P. Every year on National Coming Out Day we celebrate coming out as lesbian, gay, bisexual, transgender, questioning, or as an ally. This year marks the 25th anniversary of National Coming Out Day with a timely theme "Coming Out Still Matters." 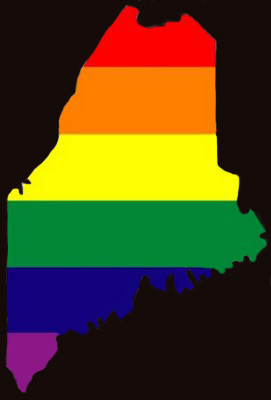 Tym Moss, the Center's President stated, “It's important that we let those who are struggling with their sexual & gender identities know that they are not alone & that there is support out there for them. We have been through this struggle & it is a never-ending process but one that empowers & strengthens us each & every time we come out.” The event will begin with LGBTQ individuals describing their own coming out experiences & relay the importance of why coming out of the closet still matters. Scheduled to speak are award- winning journalist Tanya Domi, Hector Santiago & the Center's secretary, Peter C. Frank, among others. Shortly before 7P the assembly will begin moving east on Fordham Road & walk toward Fordham University, engaging the community in discussions & distributing helpful literature about coming out, as well as the new Center & its resource. The walk will end no later than 8P.